Lung cancer is the most common cause of cancer-related deaths in the United States and worldwide. Most patients die of metastasis with lung cancer spreading to other parts of body. Lung cancer cells have a tendency to move to the brain leading to serious neurological complications and an even shorter life span. Despite the fact that a lot of progress has been made in the treatment of lung cancer, it remains very difficult to treat brain metastases. One major reason is because we still do not know much or how cancer cells move to the brain and how they grow there. Dr. Cheng and her group at the Montefiore/Einstein Cancer Center previously found that alteration of a particular gene, RICTOR, may define a special group of lung cancer and reported this finding in the leading journal, Cancer Discovery. They recently found that this gene might play a particular role in lung cancer-related brain metastasis. 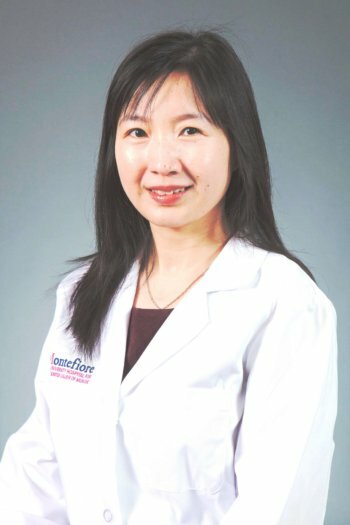 With the support of the LCFA award, they now plan to investigate the frequencies of this specific gene in general lung cancer patients, whether its presence predicts brain metastasis, and why it is associated with brain metastasis and Dr. Cheng and her lab will also pursue studies to see if they can interfere with the function of this gene with particular drugs called mTOR inhibitors. The hope is that this work could lead to better understanding of brain metastasis, and subsequently help to design new and more effective treatment for the management of this devastating problem.